There's a lot to look forward to in retirement. The days seem wide open without job responsibilities, leaving more time for family, friends, hobbies, interests and personal enrichment. Whether residing in a senior living community or at home, seniors have a wealth of opportunities ahead of them in retirement. However, preparing for old age is vitally important to ensuring a high quality of life later on. While most seniors understand the realities of aging and their effects on health and finances, not everyone takes the steps to plan for them. 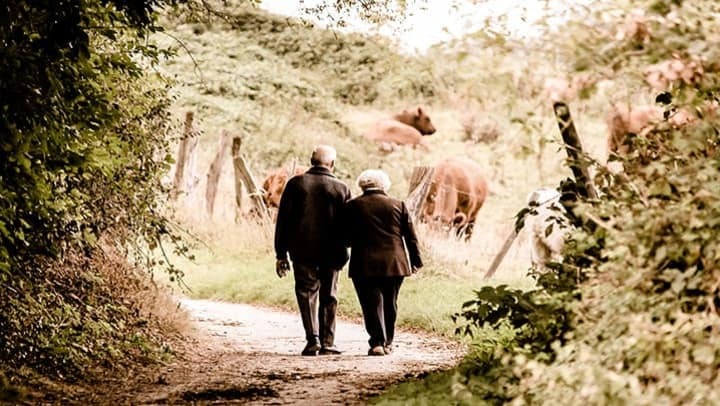 Neglecting to take an active role in planning for old age may only push problems until later, at which time they could compound and cause greater harm than if they had been handled proactively. The great thing about retirement is there's no job to worry about. Yet the flip side to that equation means no paycheck to depend on. Managing personal finances is always a priority, and takes on added urgency when nearing retirement. Unless seniors plan to keep their job into late age or pick up a part-time position, the absence of employment-related income can have a big effect on anybody's budget. It's an eventuality that seniors need to address in their aging plans. Saving for retirement is a challenge for many: A recent survey found more than 40 percent of Americans have fewer than $10,000 saved for retirement. The risk these individuals face in trying to make ends meet during old age is a situation many strain to avoid. Seniors will have to plan for any housing, transportation and living costs they will encounter. The task begins with assessing savings accounts and various streams of income during retirement. Seniors may want to consider delaying taking Social Security to increase the monthly total they get later, or talk to their financial advisor about diversifying a personal portfolio to focus on fixed income investments (like bonds) rather than volatile assets like stocks. It's important seniors have a grasp on their personal finances, because it leads directly into their next biggest aging-relate concern: the cost of health care. As the body ages, it requires more attention to keep it healthy as chronic disease and aging-related conditions —like dementia — become greater concerns. The reality that the aging process will likely lead to increased levels of care is important to consider for seniors given the increasing cost of care. According to Centers for Medicare & Medicaid Services (CMS) data cited by CNN, health care spending grew 4.3 percent in 2016, 5.4 percent in 2017, and is expected to reach 5.9 percent growth in 2018 and 2019. The strain that health care can put on senior's budgets may be cause for concern — but can be addressed with some pre-planning. Mapping out care needs and personal finances in tandem can help seniors gain a better picture of their living situations and what changes they may need to make. Seniors should suss out not only their current care needs, but future ones as well. Advancing care is a common issue for many seniors, who may be better off in retirement if they plan for it. Further concepts to tackle in planning are exercise and diet in old age. Much like the other items covered so far, fitness and nutrition needs become varied as seniors age and the body changes. Exercise, for example, is critical to not only physical well-being, but mental health. Getting even 15 minutes of moderate exercise a day is a huge benefit for seniors who in the process take care of both their bodies and their minds. Some things to think about include how you will stay fit (water aerobics? ), how often you exercise and what different workouts are incorporated (stretching one day vs. cardio on the other). Part and parcel to focusing on fitness in old age is planning out nutritional needs. Seniors, for example, often have different dietary needs than when they were younger. For instance, as people age, they may need to increase their intake of essential vitamins and nutrients like Vitamin D, iron or fiber to ensure their bodies are properly cared for. If you live at home, it may mean revamping your entire diet; whereas seniors living in a retirement community would be smart to inquire with food services. In any case, preparing for retirement requires seniors and their families to address a number of planning points. From finances to health care and everything else in between, it's crucial to sit down and have a gameplan for retirement.